Does it seem like you’ve been lifting the same weight for weeks now? Has your progress at the gym slowed to a crawl? Are you tired and demotivated during your workouts? You saw good results before and you haven’t changed anything to your routine. You still work out hard, eat clean and sleep well. And still, it seems ages ago when you last hit a PB during a workout. You’re starting to wonder whether you’ve maxed out, whether you’ve hit your ultimate limit. Is this how good it will get? Stop right there. There’s no need to be alarmed. All the above are signs that you’re likely going through a workout plateau. And the thing about plateaus is that they can be broken and you can hit new limits. That’s what this article is about: breaking your workout plateau and going somewhere with your body where you’ve not been before. 1. We need to understand what a workout plateau is. 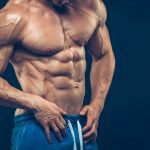 It’s important to know the more fundamental reasons behind a sudden stop or even decline in muscle growth. 2. Next, we want to make sure you’ve actually plateaued. It’s too easy to assume you hit a workout plateau while it could be something else entirely. So we’ll discuss 9 signs that show you’ve plateaued or might be coming close. 3. Then we will give you 7 ways to break through that plateau. Some are fairly basic, others will be more advanced. The key point here is to not test all these ways at once, but try one at a time until you find one that works for you. Because this is a relatively exhaustive article, it can serve as a reference for you to return to when you break through your current bodybuilding plateau and hit another one. Because the reality is that you’ll never just keep on growing muscle. You will hit other plateaus. But in that case, you can try what helped you break through this plateau again or just come back to this article and test another way until you start muscle building again. First of all, let’s set things straight. If you’re new to working out and you’ve never plateaued before, a stop in muscle growth can come as a shock. You’ve seen steady gains for a prolonged period of time and suddenly that just stops. It doesn’t even slow down, progress just disappears. You should know that that’s completely fine. It’s no failure on your end. Even Dwayne Johnson (the Rock) plateaus in his workouts. Okay, maybe he doesn’t anymore, because he’s unstoppable, but he definitely has at some point in his career. Point is that everyone plateaus and it’s nothing you can’t get through. This being said, are you really in a workout plateau? Because it could be a problem with your expectations. 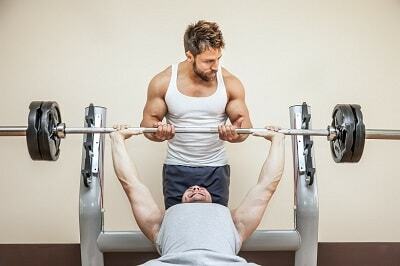 When you start working out and you go at it seriously, you can probably add 5lbs a week to your bench press max. But that linear progress cannot continue indefinitely, otherwise, we’d all be benching 500lbs in 2 years. So your progress will slow down, but you could still be seeing progress, either in weight or amount of reps or time it takes to complete an exercise. If that’s the case, then you’ve not plateaued. You just need to change your expectations. Additionally, you need to really consider whether you’ve been getting your foundations right. Be honest with yourself. How is your diet, really? Are you sure you’re eating enough of the right foods? And your workouts? Have you really given it your all or have you started slacking? Are you actually sleeping enough for your muscles to recover? Don’t let your ego stand in the way of progress. A workout plateau is when your gym progress has stalled completely or even declined while you’ve been working out hard, eating correctly and sleeping well. Now that we’ve covered the basics of what a workout plateau is, let’s move on to 9 more concrete signs that show you’ve plateaued. Some are obvious, others less so. These examples will help you understand when you’re in a plateau, so you won’t lose too much time being confused about your lack of progress in the gym. You’ve not just stopped progressing, but suddenly squatting the same amount of weight you squatted a few weeks ago becomes very difficult. You can no longer lift the weight you once lifted. This is a clear sign your body hasn’t had the time to recover from previous workouts and hasn’t built new muscle tissue for you to grow stronger. When your body is growing new muscles, it needs a lot of calories, and especially protein, to recover. But when your body is overworked or overstressed, it will be less responsive to all those calories and won’t move them as efficiently to your muscles as before. It will feel like your metabolism has slowed down. This is a little bit of a chicken-and-egg game because if you’re not motivated during your workouts, you’ll see less progress. But if you see no progress, you’ll be less motivated. This being said, a lack of motivation is another sign of your body that it’s fatigued and might need some rest. This is particularly the case if there’s no other reason for a lack of motivation (e.g. at work or in your personal life). You know the feeling when you’re doing your workout and your muscles seem to fill up. It’s the pump. When that no longer happens, it could be another sign of your body being tired. You seem to have lost that edge when you grip the bar and get ready for the set. No longer does it feel like you’ll conquer your workout. It feels like a slog. That’s just another sign your body needs to rest. Although keep in mind that everyone has a bad day occasionally. This only counts if you feel like this over multiple workouts. Does it feel like your ears are burning? Are you red in the face? It’s your body’s way of showing that you might be stressed. Stress releases the hormone cortisol, which causes an increase in your blood pressure. That causes your face to go red. Rest and relax. If you’re looking to gain muscle, you should aim for around 1 to 2 pounds of lean muscle a week. It could even be more if you’re happy to put on some fat too. So when you’ve had two weeks without any muscle gain, that’s a sign you’re in a bodybuilding plateau. This is a more advanced one, for those who measure their heartbeats. A plateau will show in your heartbeat in either two ways. 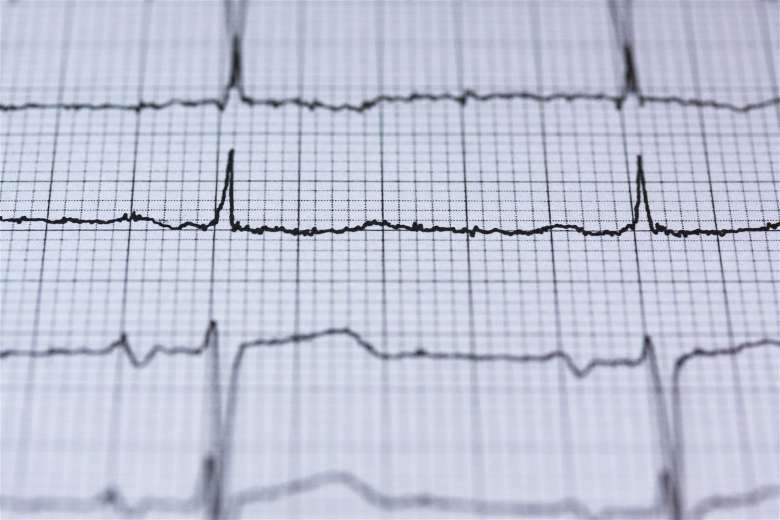 One, your heartbeat can be much higher compared to before for an exercise. Two, it can be much lower and you’ll feel tired before ever reaching your usual intensity of an exercise. This might sound like an obvious one, but again we’re talking about no progress whatsoever across all exercises. Not just a single exercise in your workout. You’ve not been able to improve weight, amount of reps or time to completion in all your exercises. That’s a sign you’ve plateaued. As you probably noticed from the previous nine points, many signs that you’ve plateaued have to do with not getting enough rest and recovery. That’s why it might be worth reiterating that the overarching principle of growing bigger muscle is progressive overload. This means applying greater stress to your body, but not so much that it cannot efficiently repair and recover. Which leads to the first way to break through your muscle building plateau. Have your 8 hours of sleep and try not to be stressed out too much, because the stress hormone cortisol inhibits muscle growth. And plan a recovery week in your workout routine. Ideally every 6 to 8 weeks, have one week where you do nothing. Plan it, because otherwise, it’s too easy to let this important week slip. Maybe a bit more of a left-field way to break your plateau, but it’s undeniably true that there are only certain exercises you can do in a particular gym. Changing your gym will shake up your routine, simply because you’re not used to the environment and you might have to do different exercises. This might well have fit into the previous section too, but if you keep a meticulous track record of all your workout variables, it will be easier to see progress. The more detailed, the more likely you’ll see progress. Perhaps you’ve rested only 45 seconds instead of 60 between sets. Or taken one minute instead of two between exercises. That’s all progress. 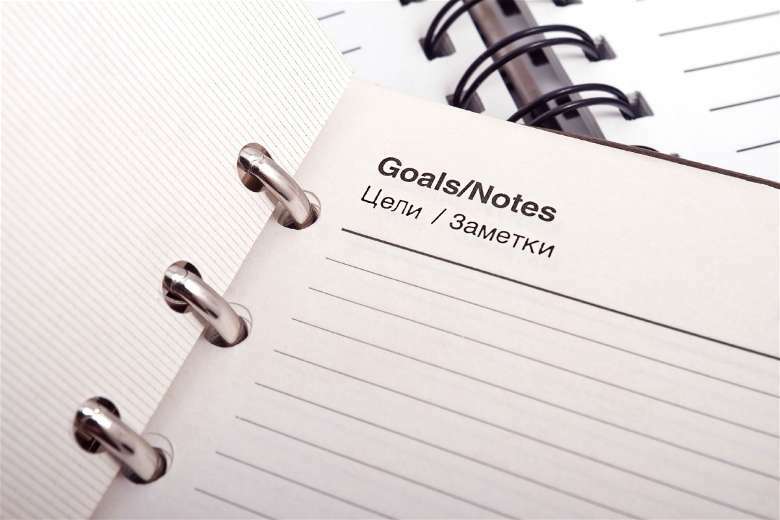 Keeping a record of your workouts makes it easier to set tiny goals that will help to get out of that plateau. Introducing some variability into your diet can shock your body out of your plateau. Try eating 200 calories a day more, but add in one day of fasting a week. Or have one day where you don’t eat clean, but really dirty instead. Have a massive cheat day. Introduce one change and see whether it will help you lift more weight. This includes coffee, which is really only good in small doses drunk occasionally. Too many energy drinks make your cortisol spike, which leads to a drop in your testosterone production. That makes it hard to build muscle and easy to store fat. Don’t cut all your energy drinks immediately, because they’re a great way to boost your energy levels before a workout. But look into how many you drink and determine you’re getting benefit from all of them. Again, this is about shocking your body out of its plateau. If your body is used to five workouts a week, with every workout a different muscle group, try suddenly doing three full-body workouts and two sprint sessions a week. Switching it up is sometimes all your body was looking for. Our ancestors had much higher testosterone than we currently do. We’re unfortunately in a society where most people have low testosterone because of limited exercise, a poor diet, and toxins in the air and in our food. It’s worth taking a T booster, although it has to be a high-quality one. One with natural ingredients that are scientifically proven to boost your T production naturally, so you don’t have any of the side effects. Here’s a link to a page with comparison of the most effective T boosters. Any of these ways could help you get out of your workout plateau. As mentioned, it’s important not to implement them all at once. Start by making sure you sleep enough and have that planned week of recovery into your workout routine. Then look into changing your workout program or your diet. If that doesn’t work, look into some of the other strategies mentioned. As a final point, it’s important to accept that we all have bad days. Heck, bad weeks. So use that to your advantage. When you feel great, push yourself hard. When you don’t, focus on good reps and proper posture. Realize that you’ll need the willpower to push you through those workouts, but they’re inevitable. It’s the same for plateaus. They’re not the best thing in the world, but once you break through them, you’ll be able to set exciting new goals for yourself.